In addition to your custom price list, you have the ability to enable preset items so that customers can book you for those services in the Housecall consumer app. 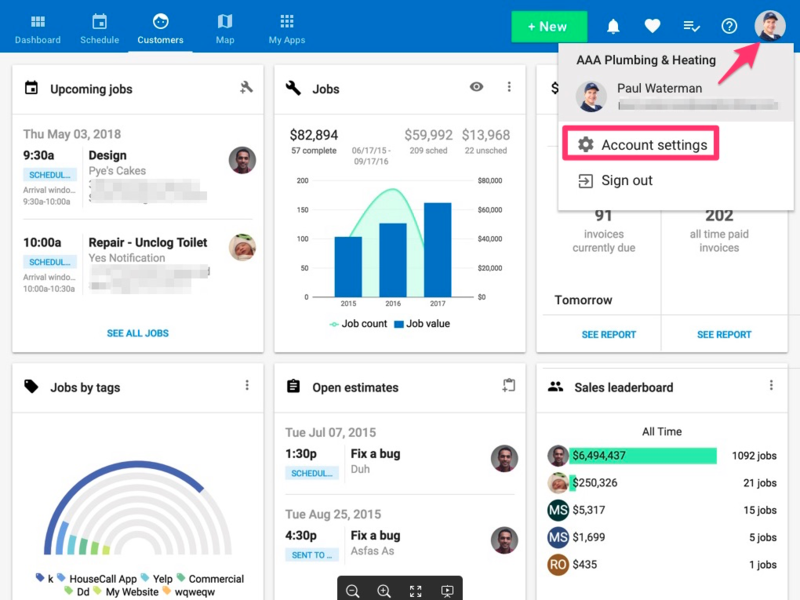 To set the Housecall App Price List, navigate to your dashboard and click on the user icon in the upper right corner, then click Account Settings. This will take you to the settings page. Select the 'Housecall app price list' icon in the top right corner. Be sure to select this option and not the 'my price list' tab. A list of standard items in your selected industry will appear. Select the industry and categories you'd like to view on the left hand side. You can then enable which line items you'd like to offer by clicking the toggle to the right. After a line item is toggled on, a pencil edit icon will appear to the far right. Click on the pencil icon to set the pricing information for this item. 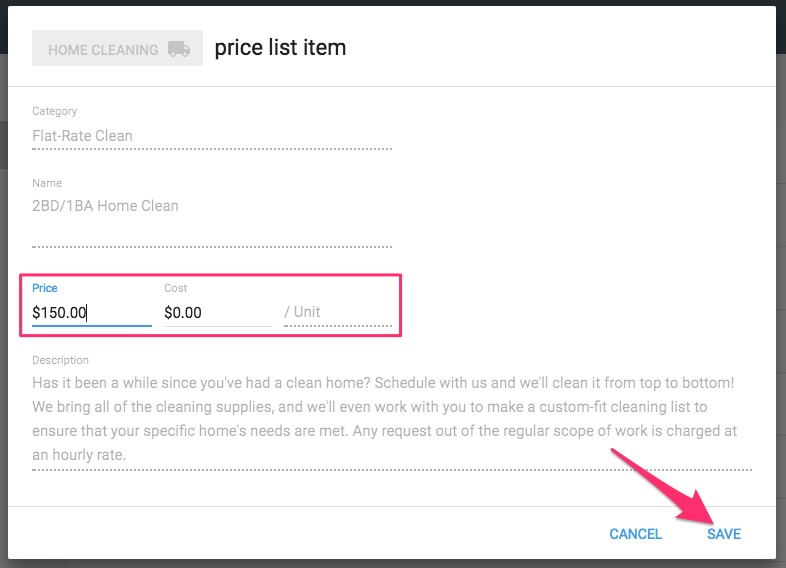 When you click the pencil icon, a window will appear where you can enter the pricing you would like to offer. For Instabook items, only the price and cost can be edited. All other fields will be standardized. When the info is correct, click the 'save' button in the bottom right. 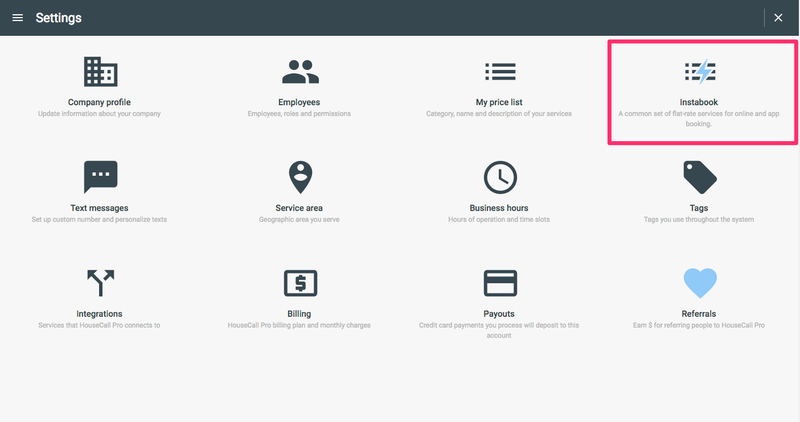 Customers will now be able to book you for this service through the Housecall Customer App!